"Recently, I've been asked about the kaleidoscope quilt I made from my CSDs fabrics. 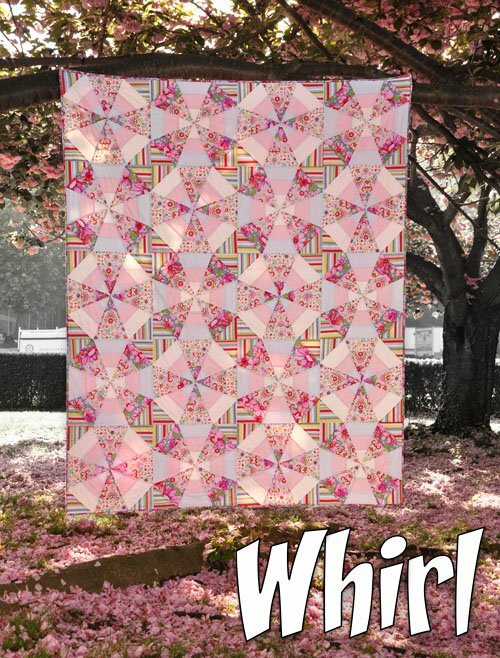 I just finished making a pattern for the quilt and decided to call it Whirl. The pattern is in PDF format and you can download it for free right here! I’d love to hear how it works out for you."